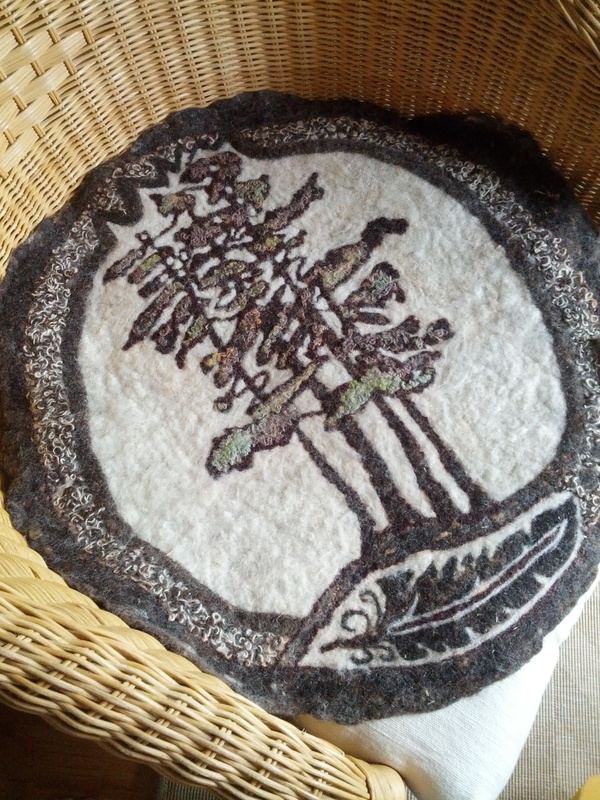 This Island lake meditation mat was made to order, one of my first three dear mats. It was made of locally sourced sheep wool. Hand carded, felted and embellished in the FeltKnotted smoke free Studio. 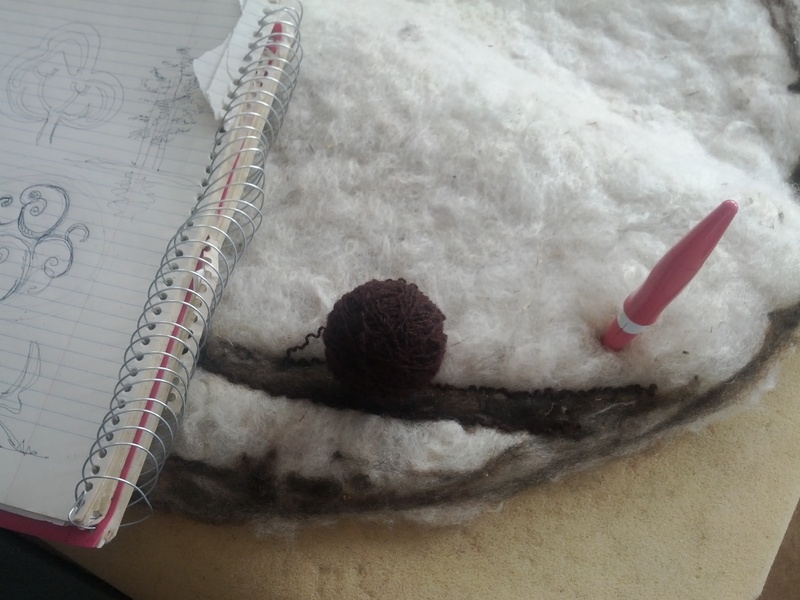 New and Re-purposed Wool yarn and fibre, cotton thread and pre-felt was used to embellish the mat. Cotton Denim backing with side zipper closure and feather filling was attached by the customer’s request for the additional comfort. Leather Label hand sew in verso.